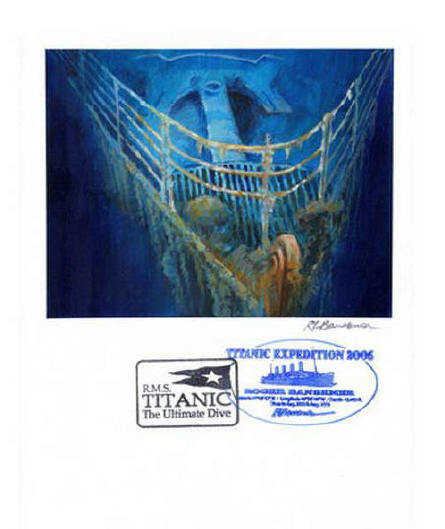 ACTUALLY been to the bow of the TITANIC. 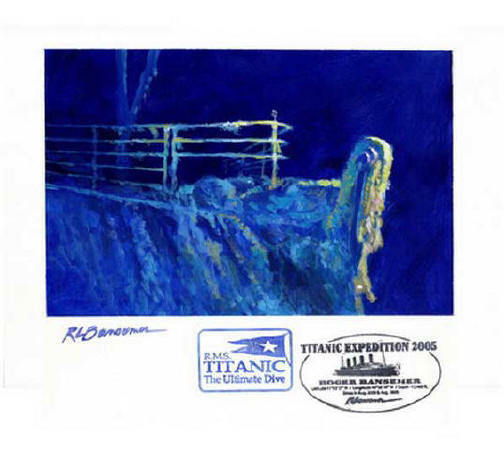 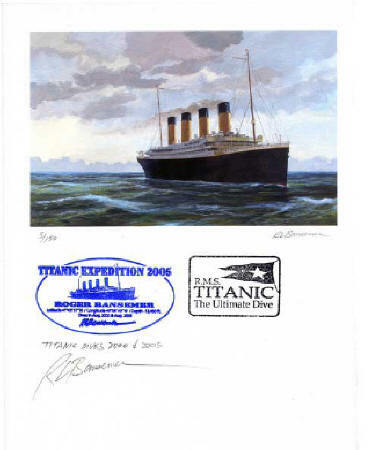 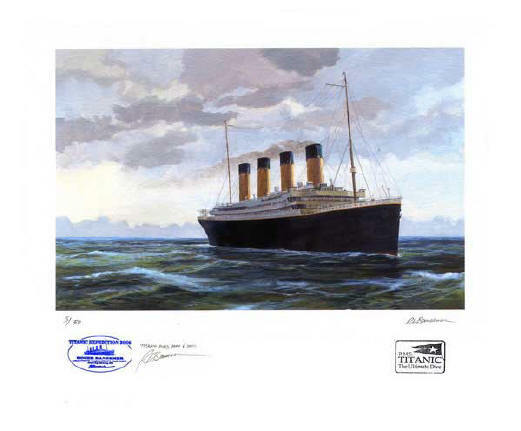 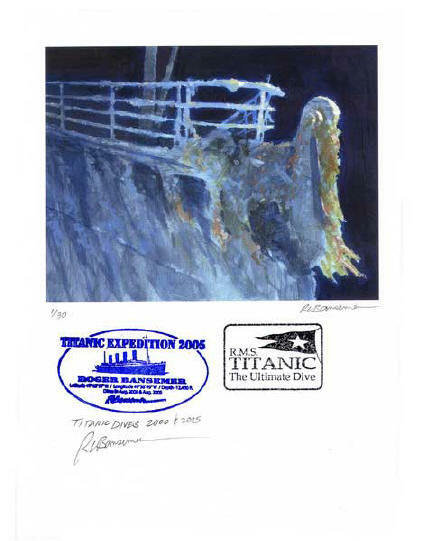 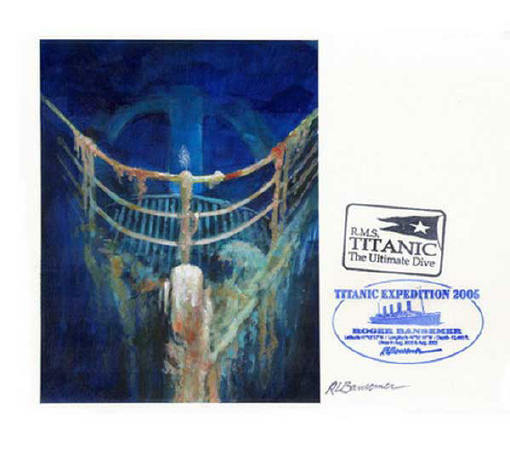 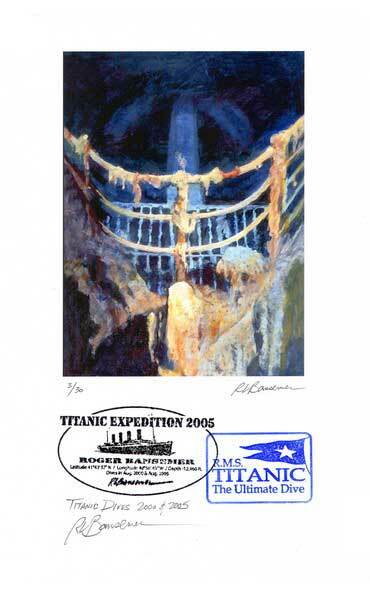 These limited edition prints & original paintings were part of the 2005 expedition to the TITANIC. 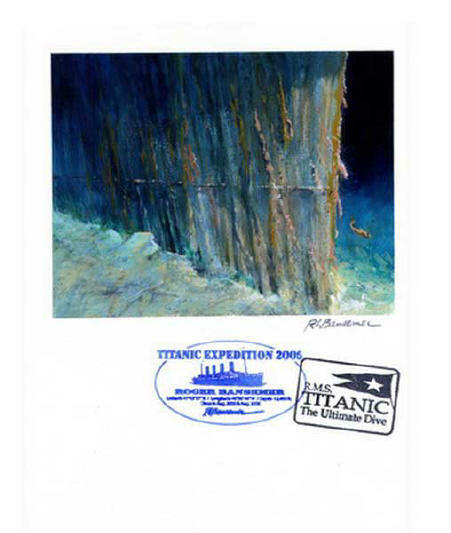 It is the first time ever that artwork has actually been taken down in a deep sea submersible to where the Titanic rests on the ocean floor. 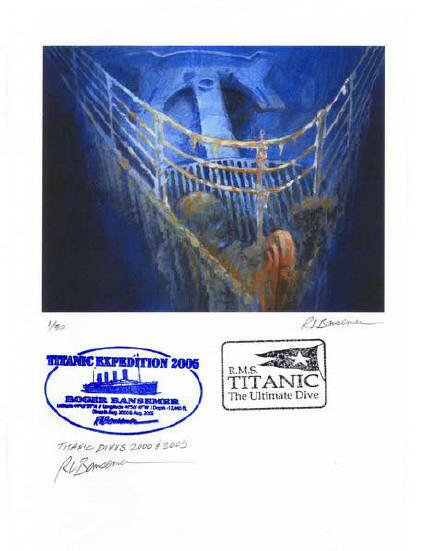 Roger Bansemer has created a very limited number of these unique and historical limited edition prints. 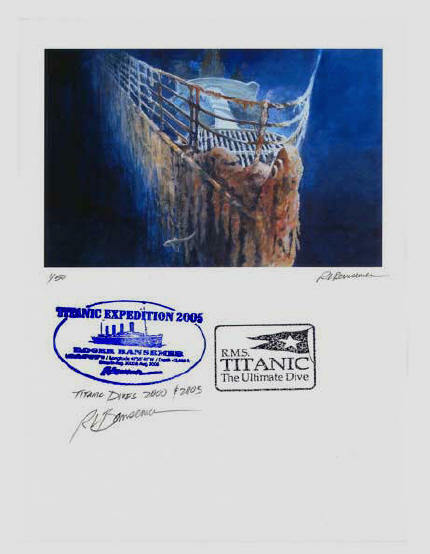 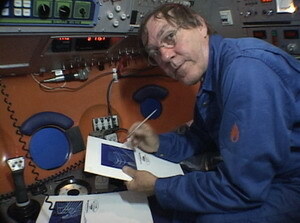 Each print was inside the sub and finishing touches were made and artwork signed as shown in the photos on the left. 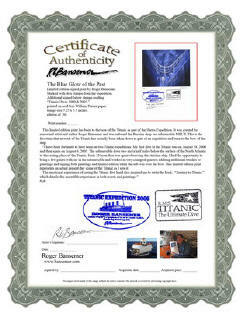 To own one of these pieces is owning a piece of Titanic history itself. 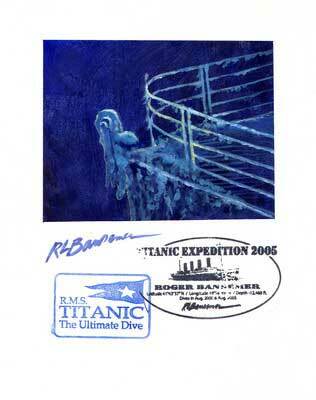 Each print and painting comes with a certificate of authenticity. 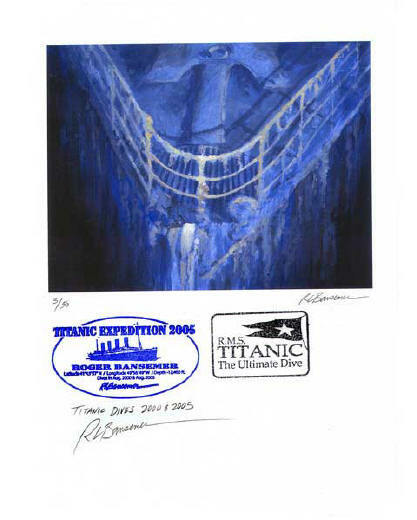 "The Blue Glow of the Past"
"Titanic's Bow with Resident Rattail"